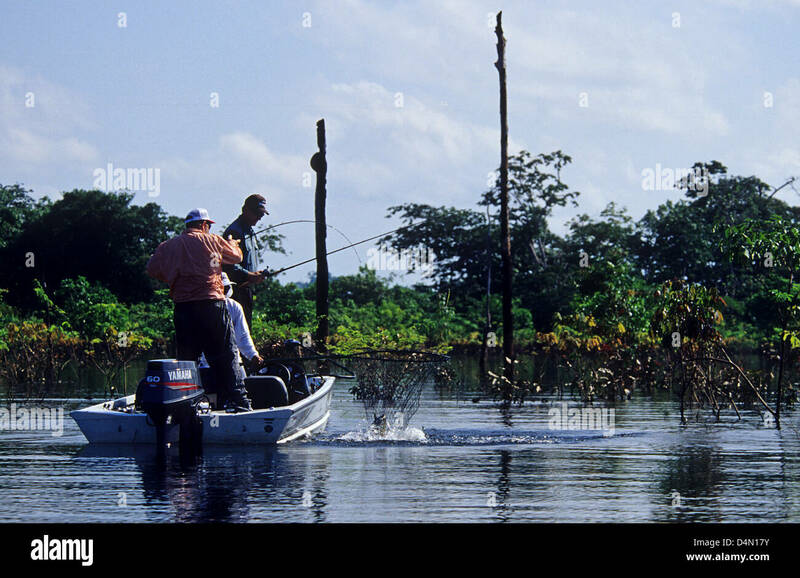 In the basin of the Amazon River near Manaus, a fishing on the Uatumã River and its tributaries. Tucunare at its best. And a nature which dazzles. Héctor Bradanini with a fine specimen captured the third day of the expedition, with access to the forest in three boats. United States, peacock bass), we immediately refer to the Brazilian Amazon. Images of endless rivers, different types of Greens in the surrounding jungle and nature in its highest expression with us as privileged witnesses of such live show. Loomis Amazon 2015 to which I had the pleasure of being invited by Shimano Fishing Latin America, invitation – as that famous phrase from the movie the Godfather – impossible to reject. The trip from Buenos Aires to Manaus (capital of the State of Amazonas and main central village in the North of Brazil) unfolded smoothly. 23:50 hour Manaus (the zone is one hour less) and with luggage already retired, I met a friend face: Héctor Bradanini (of the La area, in Concordia lodge) and his spouse, who were withdrawing at that time your luggage, but coming from Brasilia. This is how, among friends, we arrived at the hotel where the rest of the contingent of fishermen (who had arrived the previous day) was hosted for 4 precious hours of sleep before getting up at 5 in the morning for a breakfast quick and start our journey. Next to Diego Valsi (with whom he would share room, boat and cabin during the trip) we are ready at 5 AM, and after meeting the rest of the contingent, a transfer took us to the airport of Manaus where we attempt in two aircraft Cessna Caravan (4 × 4 air). Recently after another flight without any mishaps, we arrive at the track of clay from the airfield of Nova Olinda Do Norte, Southeast of Manaus and on the coast of the Madeira River. Nova Olinda was Yanna (boat hotel that would host us the next six days) repostando fuel and food for the journey. Our destination? The Uatumã River and its tributaries. they will accompany the five days of fishing. We would guide July, native of Manaus, man of few words but very gentle and with a trade that denotes years of fishing. Always attentive to disengage lure with a technique impossible to imitate and to tell us which models of artificial launch, to where and what kind of action requires each for every moment. The boats are all type bass trucker, with platform in the bow and stern for the convenience of the fishermen, helmet aluminum, powerful engines and electric motor bow to adjust angles of shooting of fishermen and not to disturb the environment. Starting at dawn, rarely we find or we came across any of the seven boats that accompanied us, except at 11:30 when culminates the day “morning” to return to the boat, lunch, rest a few precious minutes in the worst heat and sunshine time (temperature amounts to about 40 ° and the Sun from 8:30 is actually spicy) to resume the activity to the 14 again, where July was waiting for us already with everything ready for evening fishing.